Three rings in one glorious stack. A square CZ in Sterling Silver. A marquise CZ in Yellow Gold and a rectangle in Rose Gold. The effect is luxe and shimmering. 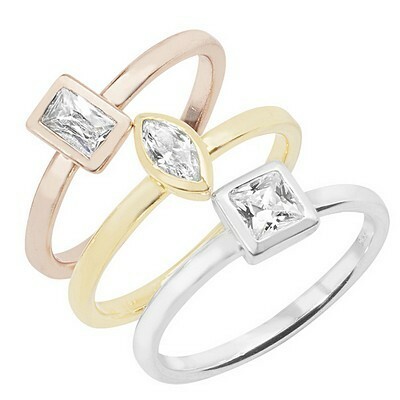 Wear all three together – they intertwine perfectly. Or wear them separately to suit your outfits. Either way the effect is stunning.